First off, we hope everyone has enjoyed their summer! We have had an amazing start to 2018 and that is all because of you. With your help, 2019 will be even better. It has been our honor to be a part of your fitness journey and we look forward to continuing along that lifelong path. This is going to be the first edition of our Cadre Newsletter. We intend to highlight the achievements of our community and keep you posted on exciting things to come. 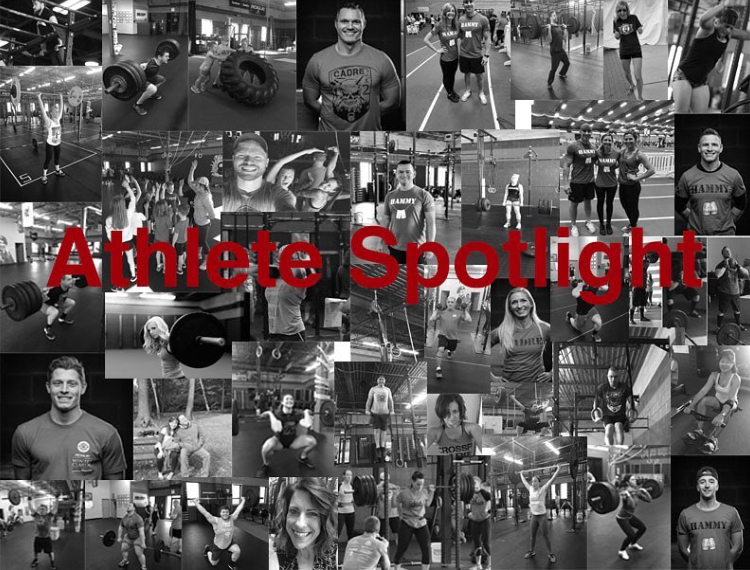 The Athlete Spotlight is a new initiative for CrossFit Cadre to share the stories of all athletes and staff. Each month we will bring to you insight into the amazing people that make up our community. The one and only Jeb Mandeville! Jeb is a dedicated 5am athlete which says a lot. There is something truly special about someone that gets up at “four something” to work out. He did admit that he enjoys coach Ian’s jokes so that may explain some things as well. Glutton for punishment perhaps? Over the weekend of August 18th and 19th the CrossFit Weightlifting Seminar Staff brought their subject matter expertise to Hudson. Always hungry for more knowledge, our very own Coaches JonMichael and Robby got after it with several coaches from across the state. Fundamentals were honed and PRs were broken! There is something to be said about coaches taking a step back to learn and receive criticism. There lies the path of excellence. The second annual Cadre Crucible was something we are extremely proud of. From start to finish the competition was fierce. Smoothly transitioning from heat to heat and WOD to WOD, constant changes to the leader board kept everyone on their toes. Nothing was held back leading into the 4th and final WOD. Coach JonMichael devised an ingenious combination of running, weightlifting, gymnastics and odd-implements that can only be categorized as “pain cave”. The bar was set very high this year and we are looking forward to rising up to the challenge next year. Thank you to everyone who competed, staffed and spectated the event! 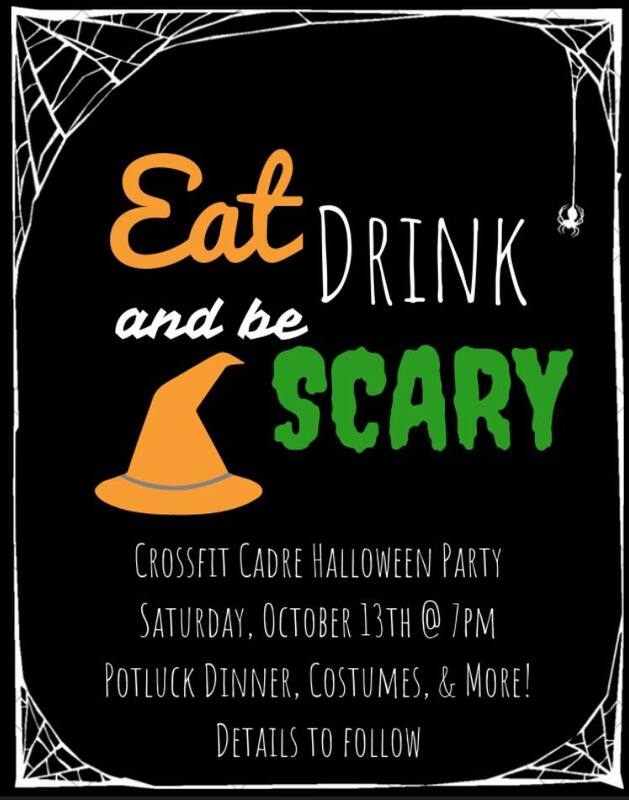 o Dress up and bring some friends! o Deadline for sign up is the 17th. Blind drafted teams will be announced the 19th. 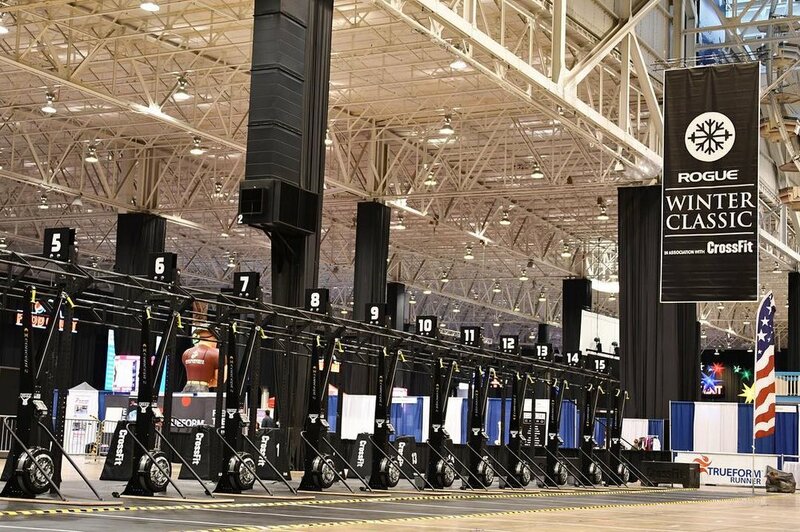 As a team, accumulate Calories on the C2 Ergs until 5pm on Thanksgiving. *Keep an eye on our TV and Social Media accounts for the most current information on events. As always, thank you! Without all of you, Cadre would not exist. We look forward to providing you the best hour of your day- everyday!